Hey, there's a Jalopnik writer's broken down car. 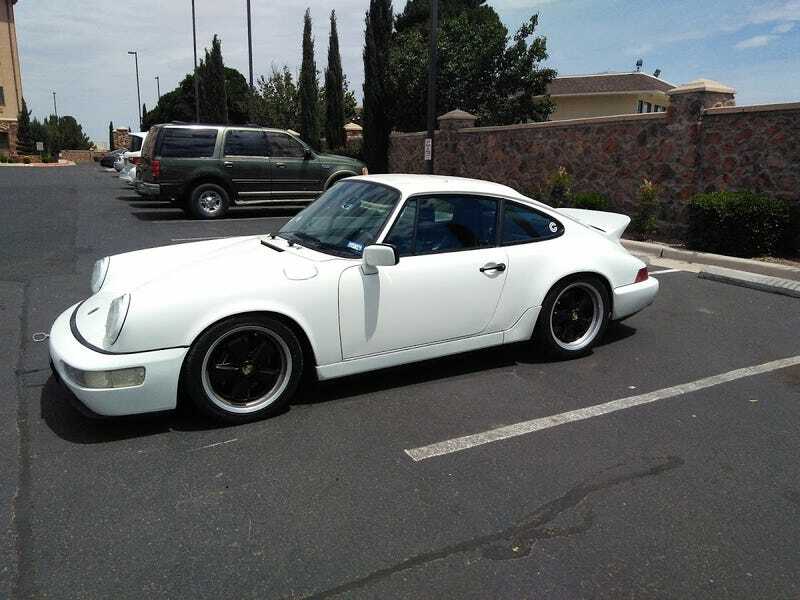 The 964 Kurt Bradley was driving to LA is about a mile down the road from my house. I didn’t see any sign of Kurt, but the tow eye doesn’t suggest it made it to the Holiday Inn Express all on its own. Hopefully he found his way to the seriously good brewery just up the street. Fun looking car. If you need a hand Kurt, let me know.